Direct Primary Care is an innovative model of primary care delivery that is growing rapidly across the country- and for good reasons. Patients are getting better care for less money and doctors are able to practice more personalized medicine. The direct primary care model is endorsed and promoted by the American Academy of Family Practice (AAFP). Click on the following links for more information about Direct Primary Care and read why this model makes sense. 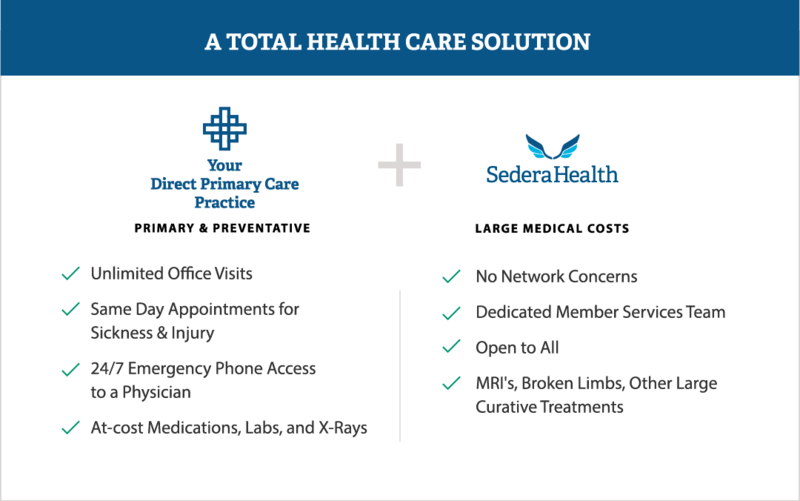 Sedera Health is a proven insurance alternative for Direct Primary Care members who want a low-cost way to limit out-of-pocket expenses for unexpected medical needs—like surgeries or hospitalizations—that are not included in the cost of their DPC memberships. This medical cost sharing community provides an extra layer of support just when it is needed most. By participating in a medical cost sharing community members of Sedera are able to receive high-end quality care at an average of 50% in savings over traditional insurance. 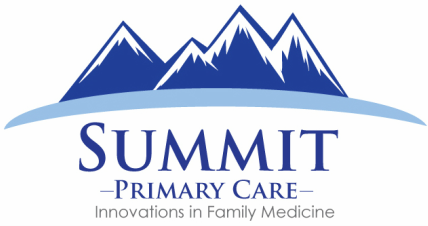 Summit Primary Care Provides comprehensive primary care for a simple monthly fee. With insurance out of the way, we can focus on you and your health. What will Sedera Health Cost? 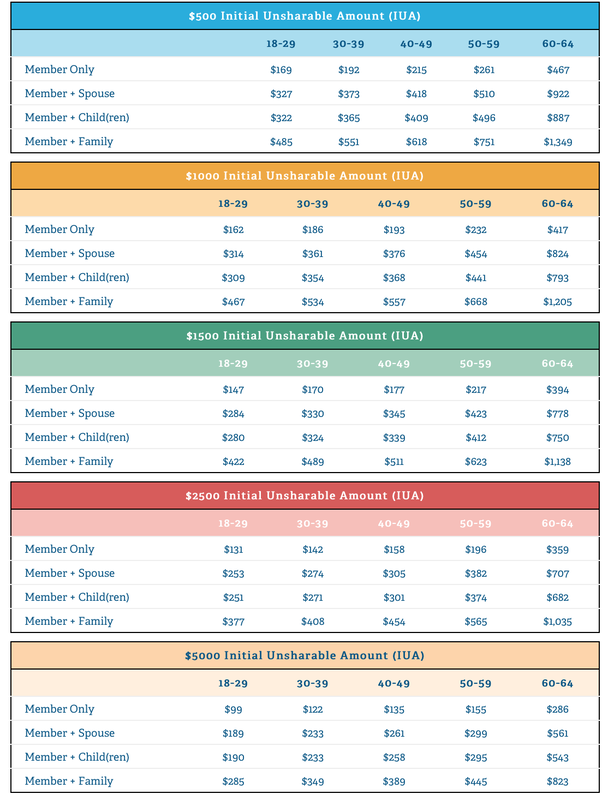 Monthly membership fees depend on the Initial Unsharable Amount (in traditional insurance terms, think of your deductible) you choose for yourself and any other dependents on your plan. Please note this fee does not include your Direct Primary Care fees. Below is an example of fees. For the current month sharing contribution, please reference here. Contact the office if you're interested in joining this medical cost-sharing community. We'll send you a welcome link to get started!